Today as more and more people become privy to the many health benefits of tea, it is fast becoming the No.1 beverage of choice, second only to water. Today when you walk in to a supermarket and browse through the tea aisle section, you find a staggering variety of teas at display, each promising you a world of good health. It’s common to read and hear about green tea being a miracle weight loss supplement and the wonders chamomile tea can do for your stress levels. But are there other teas too that are worth looking at because they offer a lot of health benefits? Tea has been regarded as a secret to achieve good health, happiness, and even wisdom for thousands of years in the East. Only recently has the popularity of this beverage caught the attention of researchers and scientists from the West, who are now spending a lot of time to uncover the many health benefits that are achievable from different types of teas. Many of these studies have revealed some astounding facts. While tea is popular as a weight loss aid, and the perfect drink to calm the senses to achieve stress relief, it packs a lot more potential that just that! Some interesting revelations claim that teas can even help reduce risk for cancer, diabetes and heart disease, while they can lower bad cholesterol levels and have phenomenal antimicrobial qualities. With so many benefits that tea has to offer, it’s worth giving some of these varieties a shot. 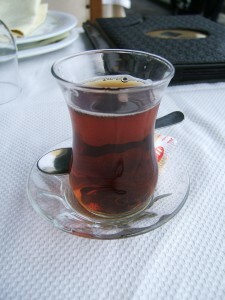 Black Tea : The most common variety of tea, it makes for 75% of global tea consumption annually. But did you know of the health benefits this tea is offering to you? Black tea offers high concentrations of Theaflavins and Thearubigins, which are antioxidant compounds. Studies have linked both of these to lower levels of cholesterol, and revealed that drinking 2 to 3 cups of black tea everyday has the potential to cut down the risks of having a stroke by a whopping 21%. Black tea is fully fermented; the process involves withering the leaves, then rolling them, followed by a long period of fermentation. Black tea leaves are then fired to give them a complex yet recognizable smell, and their very popular full-bodied strong flavour we all have come to recognize as the true taste of ‘tea’. The original black tea from China was an aged tea, brewed post-fermented. However, today a vast variety of all black teas come from India, from the native Camellia assamica species. This plant has a higher yield and produces a tea with stronger flavour and also much higher caffeine levels. We can thank British growers in India for cultivating modern favourites like the Earl Grey, Orange Pekoe and Darjeeling teas. Many benefits of Black Tea are recognized in traditional Chinese Medicine. Not only can this tea consumption help to reduce fat, protein and “bad” cholesterol deposits, it is also rich in fluoride and amazingly promotes dental health. Additionally, it can also stimulate the central nervous system and be very effective in reducing fatigue. It promotes stronger bones, while it also enhances blood vessel elasticity and strength. We feel that makes this tea a sure shot winner if you want a beverage with health benefits, even if you have to put up with a slightly bitter taste! An additional bonus is that black tea has the highest content of caffeine, about 40mg/cup, and is the best choice for those making a switch from coffee to tea for health reasons. Green Tea : One of the most popular teas today, thanks to the role it plays in weight loss, this one has a more delicate flavour than black tea. With only 25mg of caffeine per cup, it is also a healthier choice. Green tea owes its health benefits to the catechins it is full of; these are extremely powerful antioxidants that can ward off everything from cancer to heart disease, and also slim down your waistline because it boosts you metabolism. 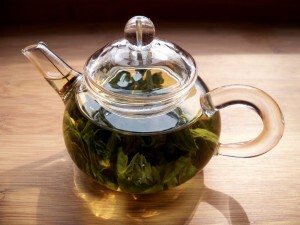 Numerous studies have found that inclusion of green tea in the diet comes with great benefits. Apart from being a powerful antioxidant, green tea is also naturally rich in vitamins like A, B1, B2, B3, C and E to name a few. Many doctors now recommend green tea to diabetics, as this tea promotes glucose metabolism. It is also being related to lowered risk of cancers, especially those of the prostate, pancreatic, bladder, stomach, breast and colon because of the rich catechin content. While its miraculous effects as being a natural weight loss supplement and anti-aging agent are already popular, a lesser known benefit of green tea is that it promotes better bone health because the chemicals found in this tea can stimulate bone formation and slow down breakdown. Green tea also promotes better liver health by neutralising the effects of toxins and its anti-bacterial properties helps to fight against tooth decay as well. It is also a great natural remedy for Inflamed Bowel Syndrome, Crohn’s disease and ulcerative colitis. Worth a try, don’t you agree? Oolong Tea: Very similar to black tea, this one is fermented for a shorter time and hence has a richer taste that many prefer. With 30mg caffeine/cup, it is also the perfect beverage to perk you up mid-day when you feel your productivity dwindling. The additional benefit is that Oolong tea can also aid in weight loss, and can be the perfect alternative should you not like the flavour of green tea. It activates an enzyme responsible for dissolving triglycerides, the form of dietary fat that’s stored in fat cells. The result – you burn more calories over 2 hours drinking this tea, than you would if you drank only water. An animal study revealed that the powerful antioxidants from oolong tea can also reduce lower bad cholesterol levels. Oolong tea is also known as Wu long tea, and was first cultivated in the Fujian province of China. It is deeply coveted by Chinese tea connoisseurs. It is a semi-fermented tea, and integrates the best qualities of fully oxidized black tea and un-oxidized green tea, giving it the richest taste among all varieties of teas. It is strong and refreshing like the black tea, while at the same time it is also clear and fragrant like a green tea, making it one of the most famous teas in the world. 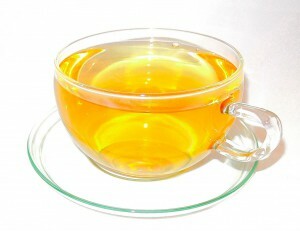 However, don’t mistake Oolong tea to be just an ordinary fat burner. It also contains niacin, a powerful agent which helps detoxify the body, and potent antioxidants that can prevent tooth decay. A study done in 2003 in Taiwan revealed that patients of Type 2 Diabetes can get a lot of benefits from drinking Oolong Tea. Another study, done in 2004, connected regular intake of Oolong Tea for 6 months with lowered high blood pressure levels in patients who suffered from Hypertension. Drinking just one cup a day results in 46% lesser likelihood to develop high blood pressure, and drinking 2 cups a day drives up that percentage by 65%. Additionally, Oolong tea can also bring relief from skin diseases like Eczema or Atopic Dermatitis as well as Recalcitrant Atopic Dermatitis. In China, drinking 4 cups of this brew is believed to bring relief from stress, mood fluctuations, depression, and anxiety problems. White Tea : A mild tea because the leaves are picked young, this has the minimum caffeine levels at 15mg/cup. Experts are calling this one a ‘Health Multi-Tasker’ and with good reason! It offers potent cardiovascular and cancer-fighting benefits, while also being a great choice of beverage for diabetics because it improves glucose tolerance and a reduction in LDL cholesterol, according to a study published in the journal Phytomedicine. White tea became popular in 960-1279, during China’s Song Dynasty. It was the choice of the royal court and White tea leaves and buds were ground into a silvery powder, after which they were whisked in bowls during the Song Tea Ceremony. This tea was the inspiration behind the famous Japanese Tea Ceremony. 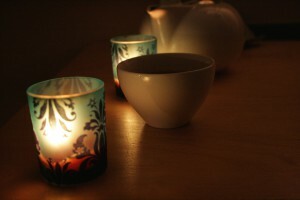 White tea has recently become very popular, thanks to the many health enhancing qualities it possesses. In China, this tea was used in traditional Chinese medicine for effectively treating diseases that inflamed the skin, like Chicken Pox and Measles. In Chinese Medicine, white tea is well recognized for its cooling properties that can treat fevers, inflammation, dental problems and skin problems. These health benefits of white tea come from the high concentration of antioxidants it packs, known to reduce symptoms of stress while it also increases energy levels. 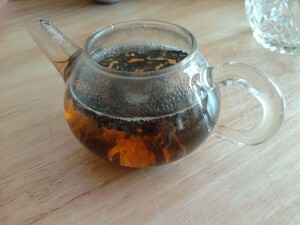 Pu-erh Tea : Pu-erh Tea is popular as a wonder tonic, and not without good reason. It has been a well-guarded secret for over 2000 years; a special tea that comes from the Yunnan Province of China, and has been used extensively for years. It is a coveted tea, because it’s healing, preventative and curative properties are truly miraculous. The tea`s origin can be traced back as far as the Han Dynasty that existed from 202 BCE-220 CE and is ingrained as a part of tradition in China. The leaves of this old variety of wild tea tree are handpicked and then put through a process of delicate maturation. This results in the “rough tea”, which is then either immediately pressed into tea cakes or subjected to an artificial aging process that lasts from 30 – 40 days to ferment the leaves in order to brew them in to tea. Pu-erh Tea is used extensively in traditional Chinese medicine to treat ‘internal dampness’ or build-up of internal energy that results from the inability of the spleen to transform energy received from the stomach. Drinking a few cups a day is believed to invigorate the activity of the spleen and stomach, while the tea is also a potent remedy for toxin removal, treating dysentery, promoting weight loss, enhancing blood circulation and improving eyesight. Recently, Pu-erh Tea has gained more global recognition as scientists were able to connect it with reduced cholesterol levels, lowered blood pressure levels, protection of connective tissue, and its ability to fiercely attack free radicals within the body. However, do not let these many benefits make you jump up and order a new pack immediately. Extreme care must be taken when shopping for this sought-after tea as there are many fake pu-erh teas and knock-offs doing the rounds. Remember, the older the tea and the purer the form, the more expensive it is. Flavoured Teas: These are a blend of black, green or white teas with aromatic flavours for better taste. 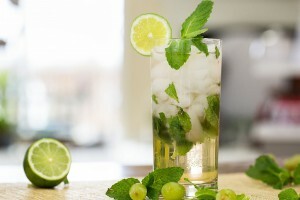 While most of these do not require sweetening to become a yummy beverage, they offer the same levels of antioxidants and the same health benefits as unflavoured teas. Additionally, flavoured teas that are blended with blueberries or cranberries can also have more antioxidants and incorporate the health benefits of the fruit extract too! Many flavoured teas are actually herbal teas, and are all the rage today for the many medicinal qualities they claim to possess. Some teas are believed to bring relief from cold and indigestion, while others are popular because they have the ability to fight infection and ease nausea. However, when choosing herbal teas, it helps to take extreme care to pick the right one. While fruit flavoured teas are delicious, especially the likes of rosehip, blueberry, cranberry, apple and orange, these are developed more for their flavouring than their health benefiting properties. If you are going to opt for quality flavoured teas, better options are ginger, peppermint and thyme, which come with greater therapeutic values. While all these tea varieties are great for health and wellbeing, it is very important to choose a reliable, responsible and established source to buy your tea leaves for brews. Good tea is a result of quality cultivation, processing and distribution, which is why choosing a great online store like is a smart choice. While we Indians think of Masala Chai and Ginger Tea as the only worthy tea alternatives, ‘Tea’ is a name that has been given to a lot of brews, many of which are actually herbal concoctions that help improve health and wellbeing. However, purists consider only 5 kinds of tea leaves to be the real thing. These are: Green tea, White tea, Black tea, Oolong tea, and Pu-erh tea. The interesting fact is that all of these 5 varieties are actually derived from the same shrub, which is native to China and India – Camellia sinensis plant. The difference between flavours of all these teas, as well as the associated health benefits, is attributes of the way this plant’s leaves are cultivated and processed. The plant contains unique antioxidants called flavonoids, the most potent of which is more popularly known as ECGC. This is the compound that has the potential to fight against free radicals, deadly contagions that can increase risk of cancer, heart disease, and also clog arteries.All these teas are also rich in caffeine and theanine, both of which heighten mental alertness by stimulating the brain. When the leaves from the plant are processed more, the polyphenol content reduces and these Polyphenols are what include flavonoids. This is why, you will find lower concentrations of polyphenols in Oolong and Black teas as compared to green tea, as these are oxidized or fermented more. However, do not be in doubt about their anti-oxidizing power, as these remain high no matter what variety of tea you choose. I wonder if we really pay attention to all of these benefits while having our favorite cup of tea. But, all types of tea (without overdose) seems to have some or other health benefits. These all teas have some particular properties in them. Today tea is the compulsory medicine for every age of person and if we talk about tea health benefits than we can find out many points from the above blog. Green tea is the best ways to pamper your body.